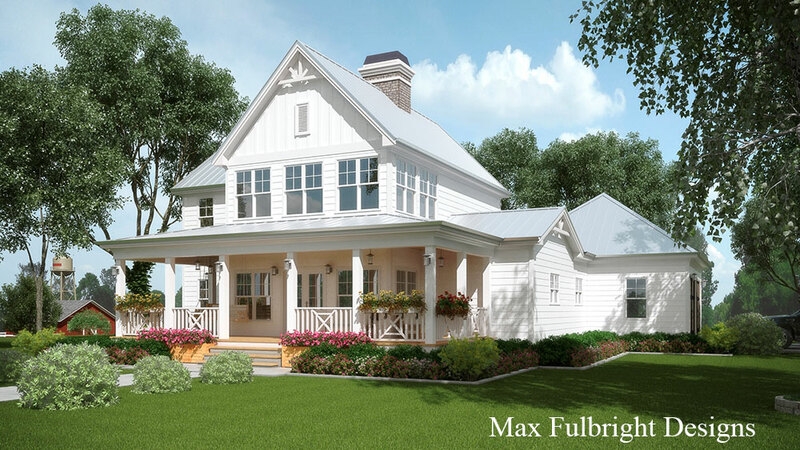 Georgia Farmhouse is a 2 story house plan with a covered porch and craftsman style details throughout the elevations and floor plan. It has a spacious front porch to hang out on and enjoy the views of your land with family and friends. You enter the house to find a 2-sided fireplace dividing the vaulted family room from the dining room. The kitchen is open to both spaces allowing the cook to enjoy the company as well. The master suite is conveniently located on the main level and has access to the screen porch and a walk-in closet. Two bedrooms upstairs share a bathroom and have views to the living room below. An optional two car garage is located at the rear of the house with easy access to the kitchen for groceries.